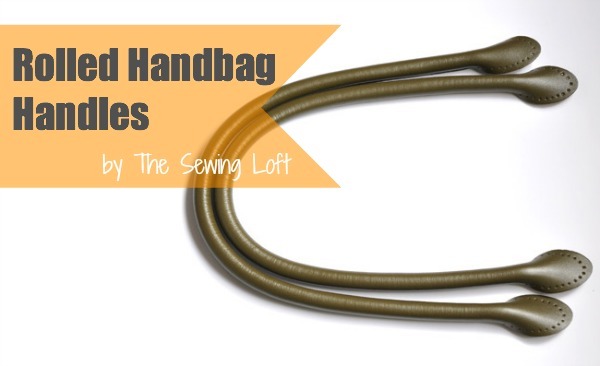 Want to learn a trick to make handbag handles? Well, for this style my secret weapon is cording! Truth be told, I love making bags but I do not want them to all look the same or even worse, homemade. So, whenever I am out window shopping I always look around at the different styles and think of how to recreate in my work. 1. Cut cording shorter than your strap length. 2. Center and position cording on your handbag handle. It should start at least 2″ away from the edge on both sides to making attaching handle to bag easy. 3. Fold over handbag handle to sandwich cording in place. Pin to secure if using fabric, pinch by hand if working with leather. 4. 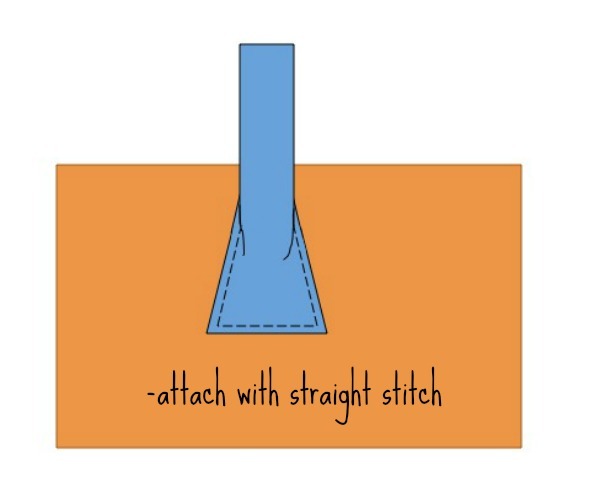 Straight stitch edges together. I like to start 1/2″ before the cording and end 1/2″ after cording. This will prevent the cording from being visible. 5. Attach to bag. It is important to use the correct needle and thread when creating handbag handles from leather. Can you stitch it together and then trim it down afterwards? It seems like that might be easier than sewing so close to the cording and the edge. I am sure you could. I am making a bag right now with larger handles made from fabric using this technique and I encased the cording completely. Hoping to finish it and get it posted for everyone. Zipper foot is correct! That foot is becoming my go to friend in the workroom these days! I’m sorry, I’m having trouble picturing this. How do you enclose the raw edges? I can see that you wouldn’t have to do this with leather, but fabric is going to fray with use. 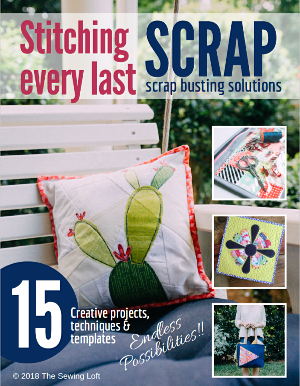 Can you sew the seam, turn the tube and then thread the cording through? Seems to me the tube would be too loose that way. 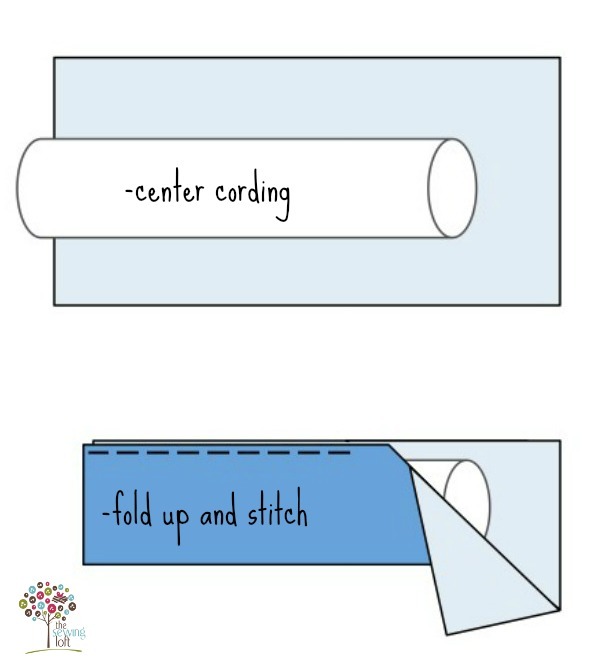 Annie, if you are using fabric you will need to create a tube first, turn it right side out and then encase your cording. The quick tip was geared towards leather straps. But not to worry I am finishing up a beach bag that is made from fabric using this technique. I’m wondering the same thing as Annie. Can you post a little more detail about how you do this with fabric handles and not leather? Thanks! Love it! 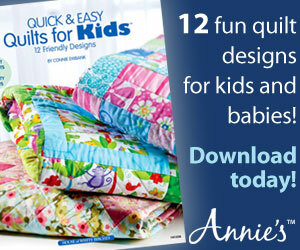 Thanks so much Anne! Love this. I’m always looking for new ways to do bag handles & I will try it in fabric as well. Hi. Where were you 6 weeks ago. I searched everywhere for exactly how to do this. Can’t complain (I think I just did) Here you are. Thank God. As far a using a zipper foot, it is also my go to gadget but there is something I have found that can produce the tiniest encased cord you have ever seen & it is my invisible zipper foot. You want fine this truly is the way to go. Give it a shot. Thanks for the tip Peta! I was a bit surprised by your negative attitude to homemade bags! But thanks for the tutorial. I’m sorry that you feel my post was negative towards the homemade. Especially, when I am all about the homemade project. However, I do believe that with a few simple tricks and techniques handmade bags can look even better that any professional bag on the market. There is nothing more thrilling when someone genuinely asks where you bought something and you can say- “I MADE THAT”! That is the feeling I hope all of the stitchers in our community receive when asked about their work. Where does one find a good source of leather for the handles? I love to thrift and salvage old leather jackets. When I use fabric I don’t use fat cording as I do with leather. I get vinyl tubing from the hardware store. It has the “body” the fabric lacks, so the handles are as firm as the leather handles. Wow, that is a great idea Linda! Thank you so much for sharing! I am keeping this one top of mind for next time and will be sure to try out. I love your tutorials but have a question on the rolled handles. You put the cording on the WRONG side? You don’t have to turn it inside out? I’m confused. The cording was sandwiched on the wrong side of the fabric for this tutorial and the fabric wrapped over the outside. No need to turn inside out. Your post inspired me to make my first bag handles. So I am linking this post on my DIY Round Corded Bag Handles the Easiest Way Ever post. Here is the url for you, “http://letsmakeitlovely.blogspot.com/2014/08/diy-round-corded-bag-handles-easiest.html”. Please, let me know if you have any objections reg. Are these how the satchel handles are made? I’ve also seen other handles that are also stiff/rigid but have a rectangular shape instead of cylindrical?